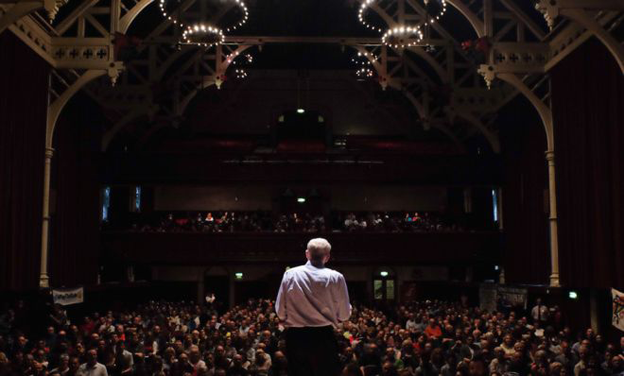 Jeremy Corbyn is the new leader of the Labour party. What are his beliefs? 1. The deficit should be paid off - but not through spending cuts and not to an "arbitrary" deadline. Instead Corbyn would fund its reduction via higher taxes for the rich and a crackdown on tax avoidance and evasion while tackling "corporate welfare" and tax breaks for companies. 2. Britain's railways should be renationalised. He is also opposed to the HS2 rail scheme, saying it would turn northern cities into "dormitories for London businesses". 3. 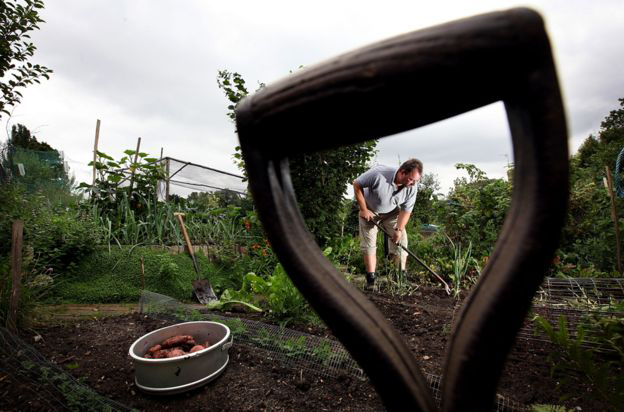 Far more allotments would be good for the UK. He has a plot near his constituency in north London and told the Commons in 2008 that councils and builders "should be doing their best to ensure that every new development includes some allotment space". 4. Talking to militant groups is necessary to win peace in the Middle East. 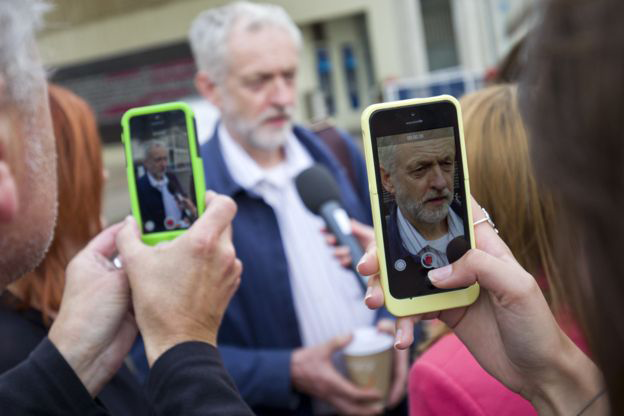 Corbyn faced heavy criticism for using the word "friends" to describe Hamas and Hezbollah. He has responded by saying he had used the term in a "collective way" adding that while he does not agree with either organisation, a peace process means "you have to talk to people with whom you may profoundly disagree". 5. "Quantitative easing for people" could be used to invest in housing, energy, transport and digital projects. Unlike the £375bn issued electronically by the Bank of England between 2009 and 2012 to buy bonds, gilts and other debts, this would be "QE for people instead of banks", Corbyn says. Tax campaigner Richard Murphyargues these plans would stimulate the economy and boost employment. But Shadow Chancellor Chris Leslie attacked the proposal, saying it would lead to higher inflation and interest rates, hurting the poor most. 6. Replacing Trident would be a costly mistake. 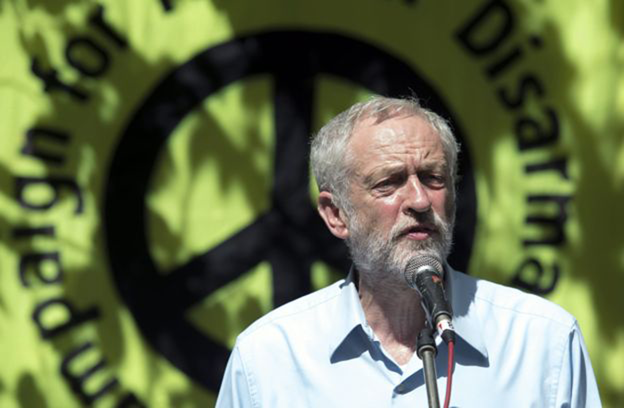 Corbyn, a long-term CND member, says plans to replace the nuclear missile system should be ditched. He believes the project's £100bn price tag could be better spent "on our national well-being". 7. A National Education Service modelled on the NHS should be established. Under Corbyn, state-funded academies and free schools would be forced to return to local authority control while university tuition fees would be scrapped and replaced with grants. Corbyn would look at ending the charitable status of public schools, although he accepts this would be complicated and might not happen immediately. He reportedly split up with one of his former wives following a disagreement over whether to send their son to a grammar school or a comprehensive. Asked recently if the break-up was over an "an issue of principle", Corbyn told the Guardian newspaper: "I feel very strongly about comprehensive education, yes." 8. 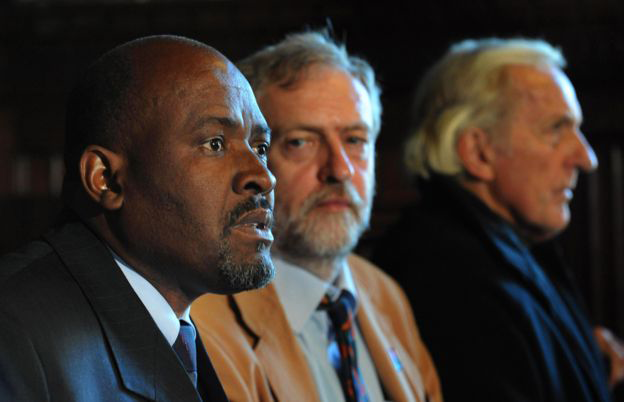 Labour should not support air strikes against Islamic State in Syria. Corbyn, who is national chair of the Stop the War Coalition, believes innocent Syrians would suffer and the supply of arms and funds to the Islamic State group should be cut off instead. He opposed military action against the Assad regime in 2013 and was a prominent critic of the invasion of Iraq. His website says he wants to see "illegal wars" replaced with a "foreign policy that prioritises justice and assistance". Asked during a Sky News hustings whether there were any circumstances in which he would deploy UK military forces, Corbyn said: "I'm sure there are some but I can't think of them at the moment." 9. Rent controls should be re-introduced, linking private rents to local earnings, and more council houses should be built. He also believes that council tenants' right to buy their homes should be extended to private sector renters. 10. The Chagos islanders evicted from Diego Garcia should be allowed to return. Some 2,000 people were displaced from the British Indian Ocean territory between 1967 and 1971 to make way for a US air base. 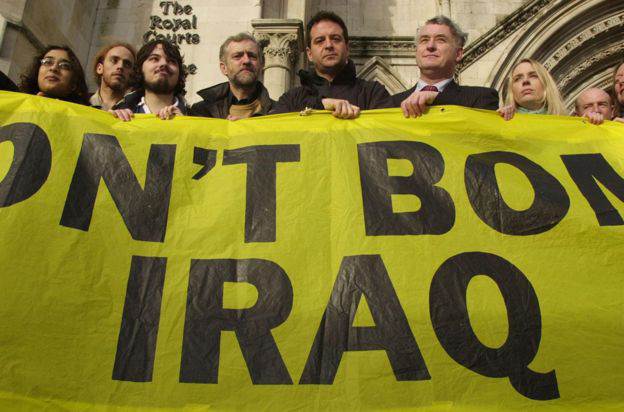 Corbyn has been a long-standing supporter of their campaign to go back. 11. The immigration debate has been "quite unpleasant". In an interview with Channel 4 News, Corbyn said the current discourse around the issue "fails to recognise the huge contribution migrants have made to this country". He added: "We should let people into this country who are desperate to get somewhere safe to live". 12. The dispute between the UK and Argentina over the Falkland Islands could be resolved with "some degree of joint administration". In an interview with the BBC in 2013 he said other territorial disputes had been settled in this way, and under such an arrangement the islanders' British nationality could be maintained. He added that during the 1982 Falklands conflict it had been in Margaret Thatcher's interests to "divert attention from her catastrophic economic issues". During the leadership campaign, a Corbyn spokesman said he supported "a long-term negotiated settlement" that took the islanders' views into account. 13. High property prices are leading to the closure of London pubs. In 2013, he saidin the Commons that pub companies "make a great deal of money out of selling them" to developers. 14. An arms embargo should be imposed on Israel. Corbyn, who is a patron of the Palestine Solidarity Campaign, said in August that Palestinian refugees should be given a "right of return". He supported a boycott of goods produced in Israeli settlements and of Israeli universities that engage in arms research. 15. Corbyn is a committed republican, but he would not seek to end the monarchy. He told the New Statesman: "It's not the fight I'm going to fight - it's not the fight I'm interested in." 16. Remaining in the European Union but with changes. Corbyn says he is not content with the EU as it stands, but wants to stay to fight for a "better Europe". He had previously refused to rule out campaigning to leave. He also opposes the Transatlantic Trade and Investment Partnership (TTIP) deal. 17. 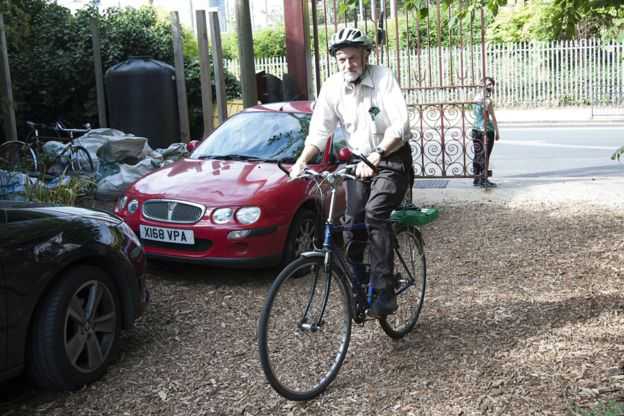 Corbyn backs cycling. He does not own a car and declined to share one with the BBC's Chris Mason for an interview, saying: "I cycle all the time. Actually I've got a confession to make, a rather naughty secret - I've got two bikes." He is also a member of the All Party Parliamentary Group on Cycling. 18. Energy companies should be under public ownership. He says he would be "much happier" with a "regulated, publicly run service delivering energy supplies". He is "totally opposed" to fracking. However, he says deep-mine coal pits in the north of England could be reopened. 19. Ireland should be united. 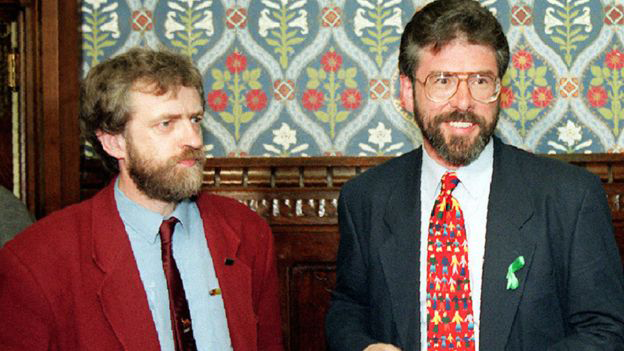 Corbyn has long supported British withdrawal from Northern Ireland and invited Sinn Fein President Gerry Adams to the House of Commons as far back as 1984. He was criticised for observing a minute's silence for eight IRA members killed by the SAS in 1987 and once employed Irish Republican Ronan Bennett as a member of staff at Westminster. 20. A national maximum wage should be introduced to cap the salaries of high earners. He would also introduce a windfall tax on former state assets such as the Royal Bank of Scotland, which he says were privatised too cheaply. 21. Every child should have the chance to learn a musical instrument or act on stage. Corbyn's arts policy also includes directing a greater proportion of funding to local projects, widening access and protecting the BBC. 22. Private Finance Initiative deals with the NHS should be ended by using government funds to buy them out. Writing in the Guardian, Corbyn said they were a "mess" that were costing the health service billions. 23. A "serious debate about the powers of Nato" is needed, but Corbyn has saidthere is not "an appetite as a whole for people to leave". Corbyn has previously supported withdrawal and believes it should have been wound up in 1990 at the same time as the Warsaw Pact. He also said open eastward expansion of Nato would lead the Russian military to conclude that it had "to expand to counteract Nato". 24. The arms trade should be restricted. 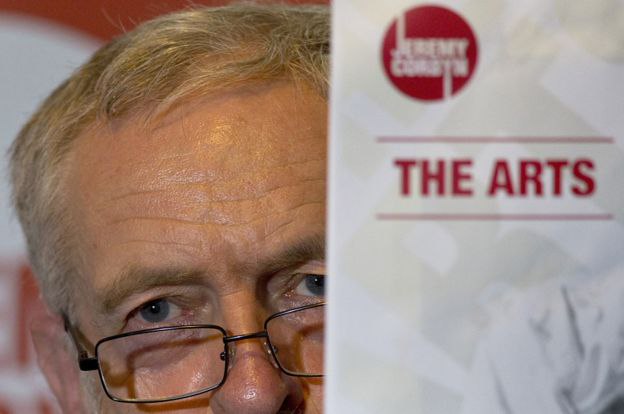 Corbyn would like to see the "brilliance and skill of those in the arms industry be converted for peaceful purposes". Should drivers over 70 years old be retested?